Wanna download this clip or back up DVD Fast & Furious 7 to PC/TV/Portable Device? Get on the nets, and you’ll be amazed at the overwhelming news of Fast & Furious 7 movie, like “Vin Diesel: 'Furious 7′ will probably win the Oscar for Best Picture”; “' Fast & Furious 7′ review: Series bids emotional farewell to Paul Walker”; “'Fast & Furious 7′ Cast Pays Tribute To Paul Walker In New Featurette”; “'Fast & Furious 7′ Races Toward Record Opening at Box Office”. Then you’ll wake up and realize that "Fast & Furious 7" movie is approaching. Actually it has already been screened at the South by Southwest (SXSW) Film Festival with tears of Paul Walker fans. With full of expectation and memory, the audience watched the last life and death adventure of Paul and his brothers. The first round of comments on Rotten Tomatoes came out today, with 88 percent freshness. Currently it has seven favorable opinions and one slightly negative comment. 2186 users of IMDb gave an average of 91 high ratings. I never thought Paul Walker would die in a traffic accident in his golden age, also during the filming of "Fast & Furious 7". 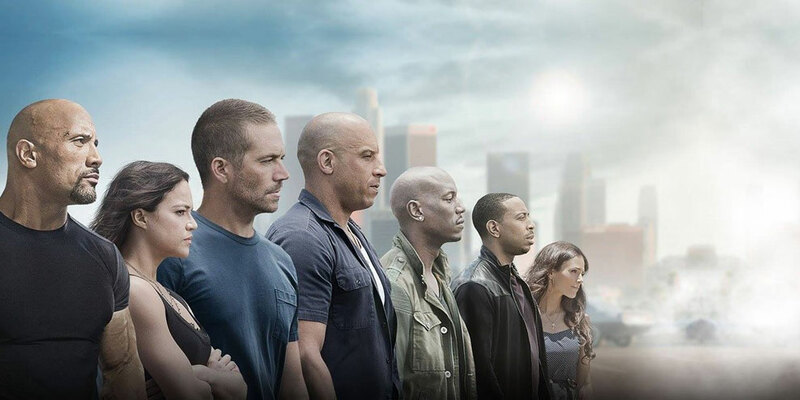 And “Fast & Furious 7” cast left no means untried, to make up for the forever absence of Paul. "Fast & Furious 7" series issued a formal statement through social networks on April 16, 2014, and said that Paul Walker's two brothers, Cody Walker and Caleb Walker, would step in the movie as stand-ins, to complete the filming scenes Paul left. The death of Paul put off the movie till 2015, and it is also an extraordinary sequel in the film series. Fast & Furious 7 movie is scheduled for release on April 3, 2015. Continuing the global exploits in the unstoppable franchise built on speed, Vin Diesel, Paul Walker and Dwayne Johnson lead the returning cast. As the sequel to the 2013 Fast & Furious 6, James Wan keeps telling the story centered on the revenge. WonderFox DVD Video Converter is such a professional software that rips any commercial and copy-protected DVD to all hot (HD) video files (AVI, MP4, MPG, WMV, MKV, MOV, TS, TRP, WEBM, FLV, etc, ensuring the quality and speed. Explore more, click here to download and use it for free. Insert Fast & Furious 7 DVD into your drive. Click the button “Load DVD” and select the DVD drive letter. Usually a DVD has several titles (the movie itself, promo videos, etc. ), but some of them contain only a clip of minutes. Here you don't have to think about which title is the main title, because the software will automatically detect the only main title and tick it. WonderFox DVD Video Converter, as we've noted before, supports many different file formats. You just need to select one compatible with your video playback device. Don't worry if you're not familiar with various formats, just refer to the GLOSSARY. Set an output folder to save the Fast & Furious 7 full movie. Then simply hit “Run” button to start to rip DVD Fast & Furious 7 to the format you need. See the tutorial videos on the use of WonderFox DVD Video Converter on YouTube, please subscribe to our channel. 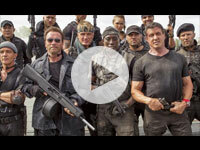 The Expendables 3 is now widely screened. Learn how to rip the DVD for permanent storage and the playback you wish. Clint Eastwood has directed war movies before, but never stressed a single warrior. 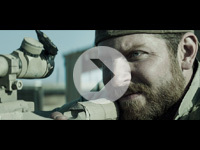 In American Sniper 2015, he has an amazing one here - the military’s greatest sniper. Rip this true-story– based movie on DVD to hard disk or mobile device for feeling the sniper’s years, a lifetime of hunger and hope, passion and caution.